It shows a southwestern-style home with a tile roof, perched along the oceanfront at sunset. 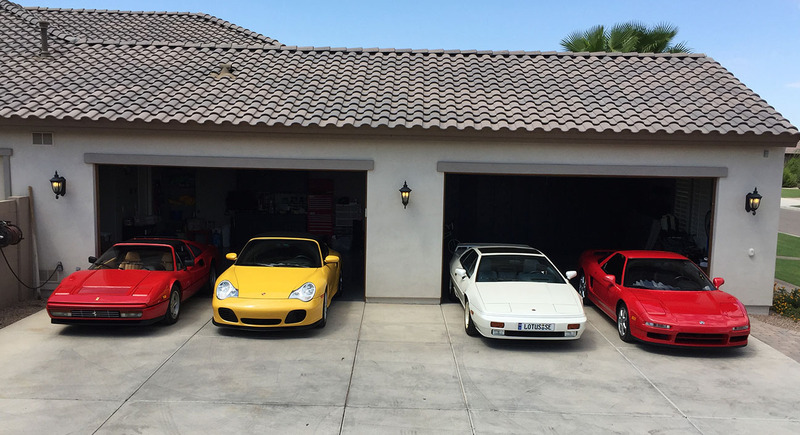 But in front of the house sits a 5-car garage with some 1989’s best sportscars (though, worth noting here, none of them were Japanese!). I took the message to heart and set my sights on higher education like the goody-two-shoes I was, and graduated at 25 with a Masters Degree in Business. 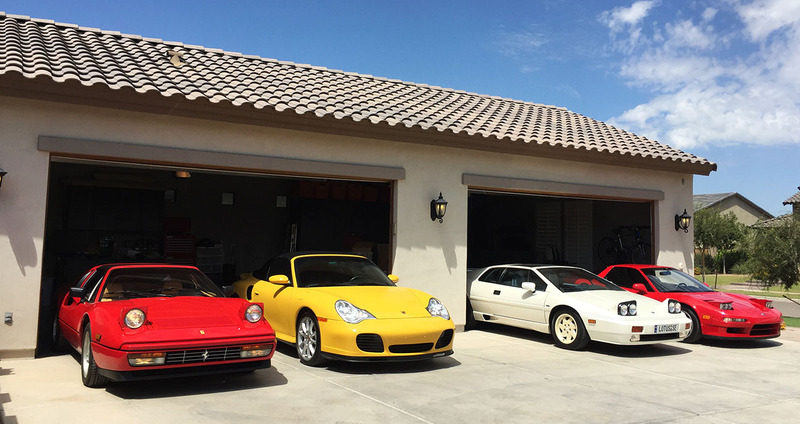 It wasn’t until 10 years later that I bought a house with a garage big enough to hold more than 2 cars. 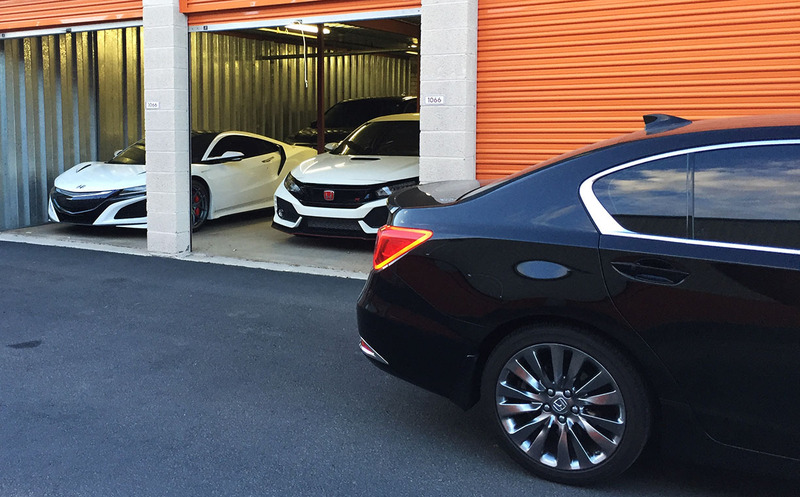 And I certainly didn’t fill it with high-end exotics. But my own personal dream was achieved. 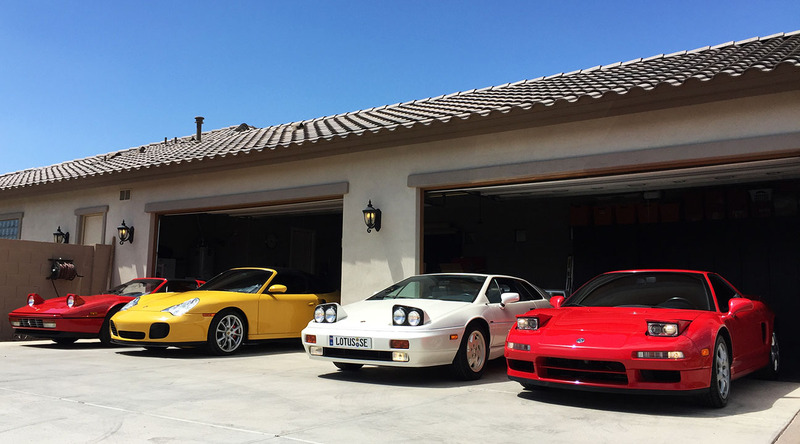 You’ve met my friend Greg Davis through the blog in a couple of previous posts, including the one about his quirky collection of Japanese Domestic Market, right-hand-drive vehicles. What I didn’t share in that particular post was a glimpse of some of Greg’s other, more fancy rides. 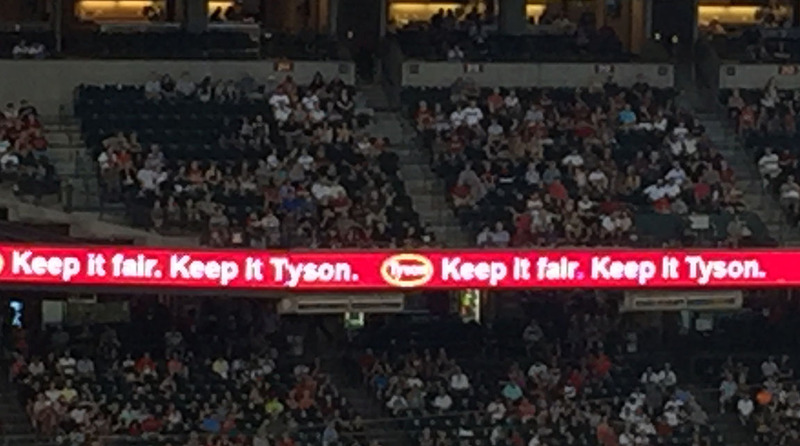 And now’s the time to go ahead and do that. 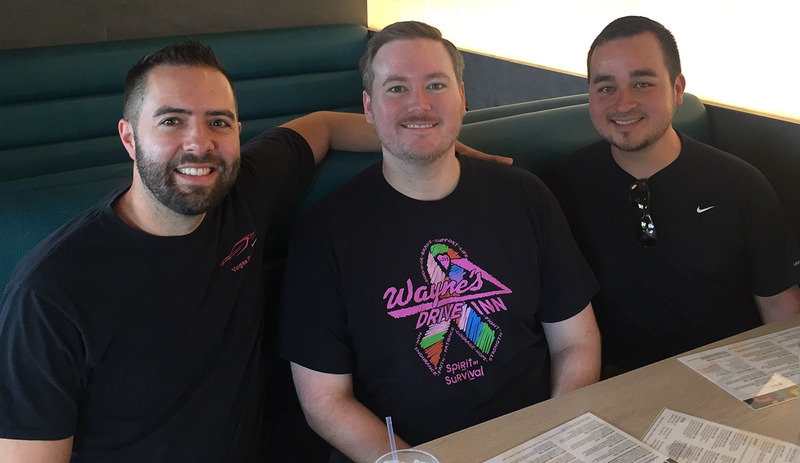 My friends Chase and Trey were in town from Oklahoma this past weekend, so I wanted to show them a good time. 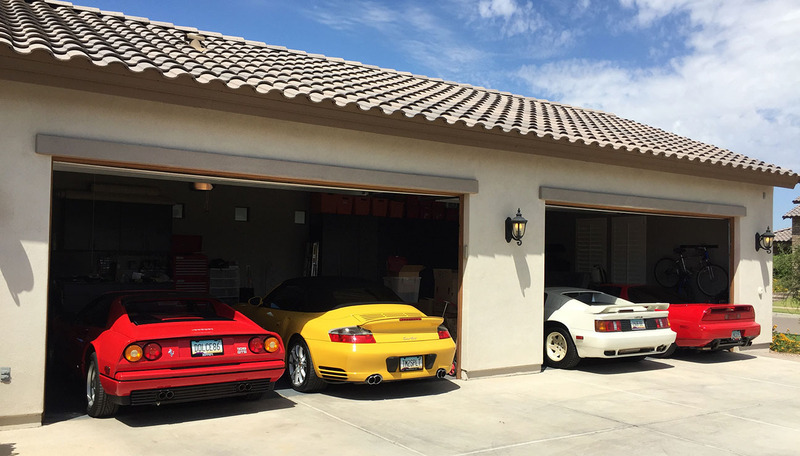 The perfect place to find that fun was at Greg’s, where we did a mini road rally in a 1986 Ferrari 328, 1988 Lotus Esprit, 1995 Acura NSX, and 2004 Porsche 911. 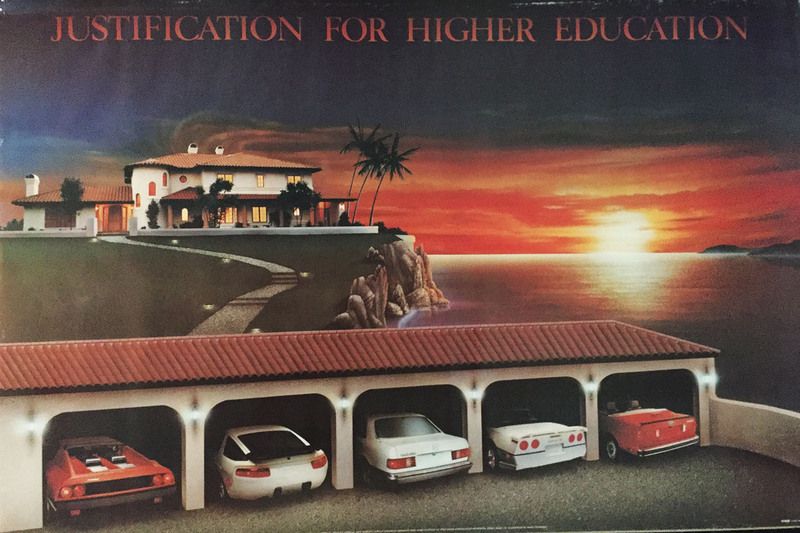 We moved the cars from Greg’s storage facility to his home for a re-staging of the “Justification” poster. The photoshoot itself was fun, but even more so, was the driving enjoyment from that short jaunt between locations. The Porsche is a Turbo model with only 12,000 original miles. The driving dynamics are magnificent – with quickly engaging power and firm handling. 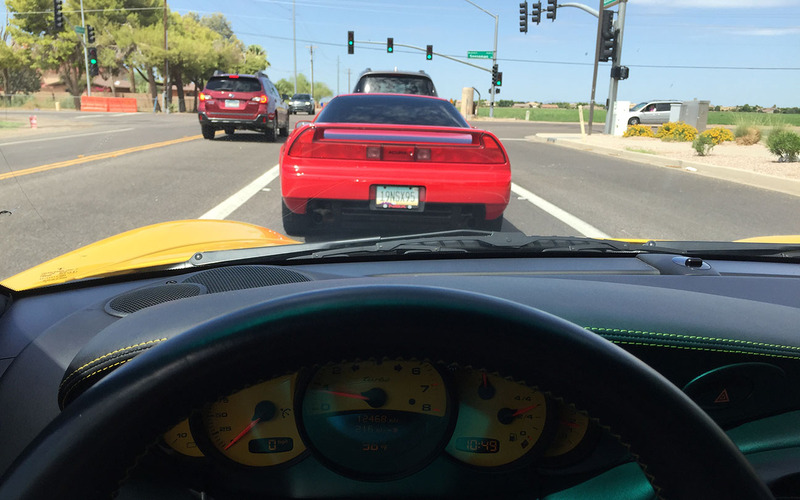 The Ferrari was raw sportcar material – no attempts made at creature comforts – in fact, the air conditioning wasn’t working, but I didn’t care. I quickly acquainted myself with the cabin and soaked in the scenery. This one had only 6,000 miles on it. It was incredible. Clearly I have a thing or two to learn about Italian cars because I inadvertently drove it with the parking brake engaged for a few miles. Contrary to typical “ratchet it and release it” e-brakes, the handle on this one freely floats to the “off” position but is still activated. I didn’t realize that. 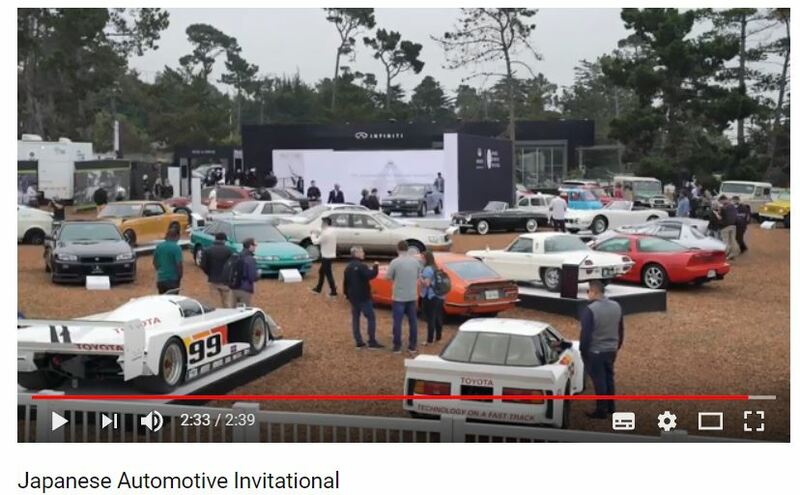 Luckily, there was no billowing smoke and driving performance didn’t seem impacted or I would have definitely pulled to the sidelines to investigate. Bill me for the brake job, Greg! 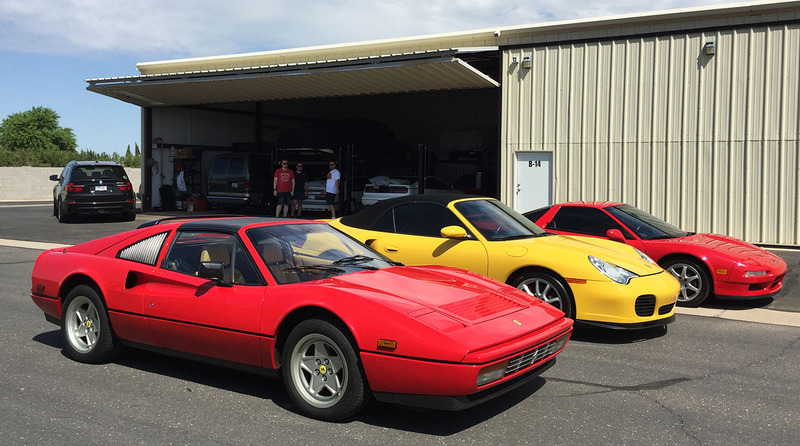 Aside from that tidbit of learning, I found the Ferrari to be easy to figure out. The shifter operates with a satisfying clunk, the clutch effort was predictable, and the visibility was better than I expected. Biggest thing to get used to in that car is all the crowd attention! 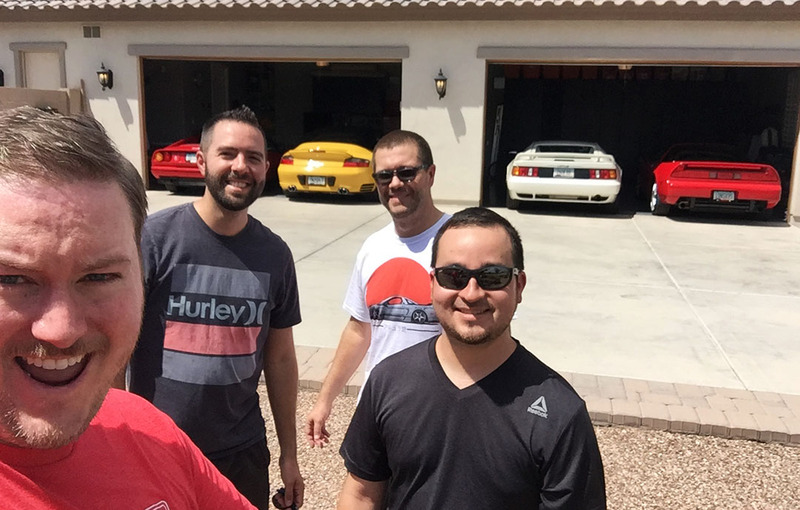 I did my best to keep Chase and Trey entertained for their 4-day stay, but it was tough to top the dream garage experience. 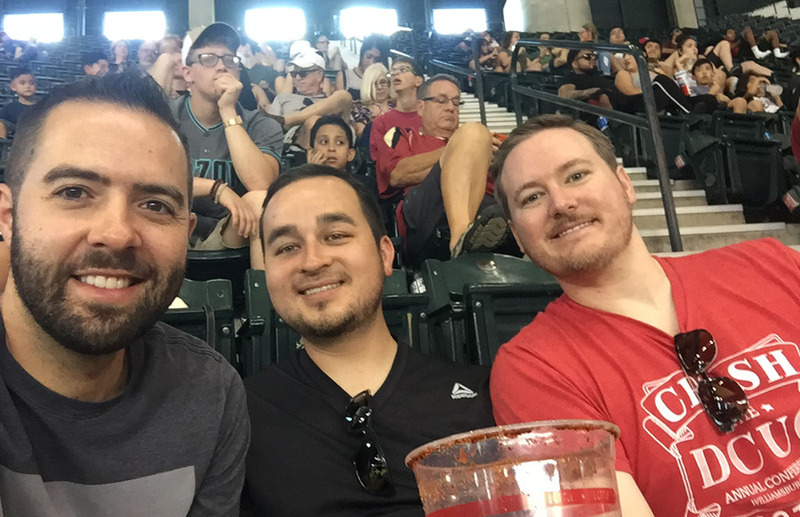 We hit up a baseball game, did a little hiking, and met up with my friend Vlad for a visit to the Pavilions car show in Scottsdale. Here is a video. My car makes a cameo a few times including the time-lapse segment at the ending. Hope you enjoy a few photos and a short video of our Sunday morning adventure at Greg’s Garage! Click & zoom. 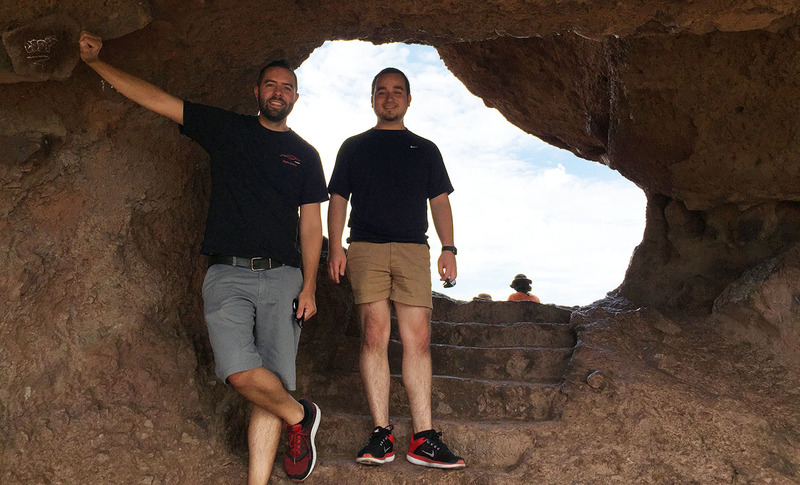 Which Acura did we drive to the hiking trail? 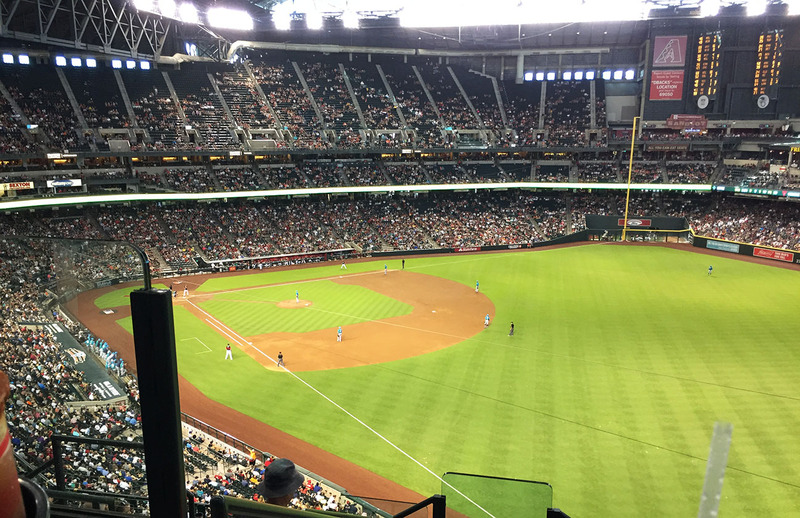 Nosebleeds at the baseball game! 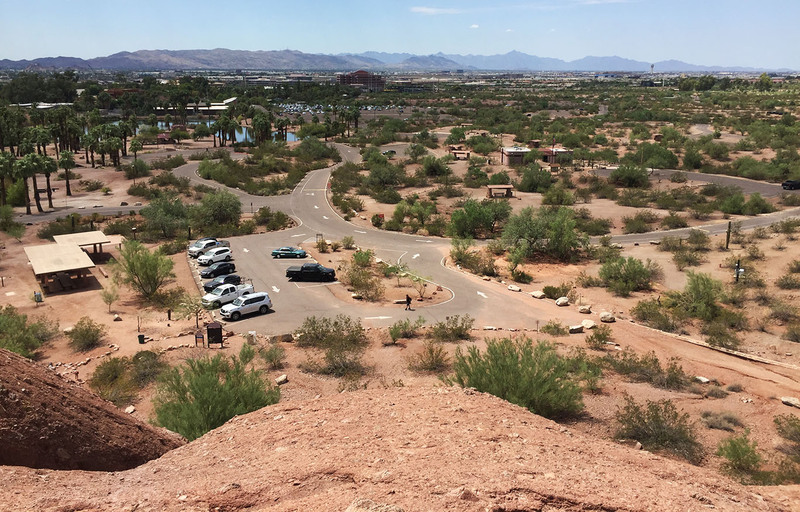 But the view was great. How’s this for mileage mania? 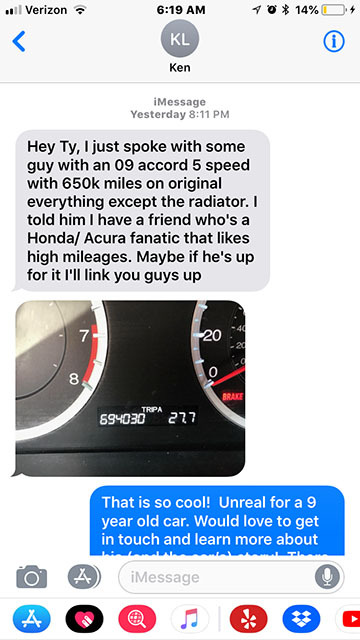 Apparently there’s a 2009 Accord running around California with almost 700,000 miles on it. More to come on that. 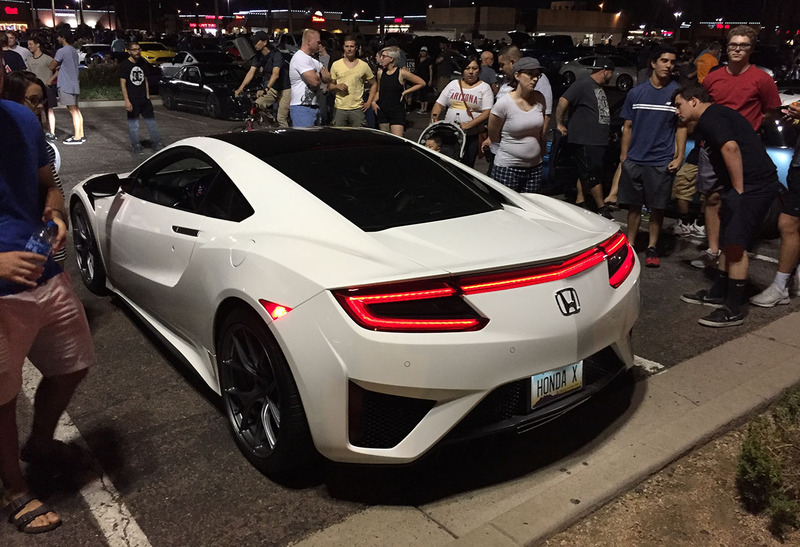 This entry was posted on August 30, 2018 at 5:27 pm and is filed under Arizona, NSX, Reader's Ride. You can follow any responses to this entry through the RSS 2.0 feed. You can leave a response, or trackback from your own site. I had that exact same poster my sophomore year of college! I also had a t-shirt with a red Porsche 911 on it with the same saying (the t-shirt came with a “final exam survival kit” that my university sold at finals). Really enjoyed the modern refresh of that poster! Would love to know which engine is in that ‘09 Accord. If it’s a V6, I’ll be even more impressed (the sixes of that generation can have major issues with oil consumption and ringland problems, most specifically 2008-2010, although it was improved a bit in 2011-2012). Either way, that’s a heck of an accomplishment for a 2009. Gives me hope for DH! Good eye on the Vigor spotting. Sounds like quite a few people had that same poster. I think they should do a 2018 version. Yeah I’m working on finding out more about the 700k-mile Accord. Pretty crazy accumulation for a 9-year-old car! Have a great holiday weekend! I’ll dig up so pictures of my room in the 80’s. . .the obsessions definitely start young! 694k miles already on an ’09? He needs a blog! Hope to get a Buick Regal for the weekend. Oh yes, I’d love to see where young Eric grew up! Dig up those pics… and looking forward to seeing what you think about the Regal. Enjoy the weekend!